Persian Gulf shares advanced, sending Qatar’s benchmark index up the most in three months, after an official said the Gulf Cooperation Council may discuss aid to help Bahrain and Oman quell political unrest. Qatar National Bank, the country’s biggest lender, gained 6.1 percent. Emaar Properties PJSC (EMAAR), builder of the world’s tallest skyscraper in Dubai, advanced 4.1 percent. Qatar’s QE Index (DSM) rallied 3.4 percent, the biggest gain since Dec. 5, to 7,944.97 at 10:40 a.m. in Doha. The DFM General Index (DFMGI) climbed 2.1 percent, the most since March 6, to 1,403.43 in the emirate. The gauge has lost 14 percent since Tunisia’s Zine El Abidine Ben Ali was ousted in January. The Bloomberg GCC 200 Index (BGCC200) rose 0.8 percent. At least two were killed in clashes between protesters and security forces in the Omani city of Sohar. In Bahrain, seven people have been killed in demonstrations that began on Feb. 14. 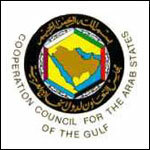 The six states of the GCC, including Saudi Arabia and the United Arab Emirates, will discuss an economic-aid plan to support the two Persian Gulf states, U.A.E. Foreign Minister Sheikh Abdullah bin Zayed Al-Nahyan, said in Abu Dhabi yesterday. The meeting starts March 10 in Riyadh. Governments from Jordan to Yemen have offered concessions to quell public discontent that ousted leaders in Egypt and Tunisia and sparked protests across the region. Bahrain’s Crown Prince Salman bin Hamad Al Khalifa said March 6 there’s a “70 to 80 percent consensus” on a plan to engage with the country’s opposition after weeks of protests. Bahrain’s al-Wefaq group, the kingdom’s largest Shiite Muslim opposition bloc, said on Feb. 22 that it wants “significant steps” from the government before starting a dialogue. In Saudi Arabia, King Abdullah has announced plans to spend about 110 billion riyals ($29 billion) on programs aimed at boosting housing, education and social welfare amid growing concern large-scale protests may erupt. Websites have called for a nationwide Saudi “Day of Rage” on March 11 and March 20, Human Rights Watch said in a statement posted on its website Feb. 28. Qatar National Bank gained the most since Dec. 5 to 137 riyals. Emaar jumped to 2.55 dirhams, the highest intraday level since March 6. Abu Dhabi’s ADX General Index (ADSMI) climbed 0.8 percent and Oman’s MSM30 Index (MSM30) increased 0.4 percent. Bahrain’s BB All Share Index dropped 0.1 percent and Kuwait’s SE Price Index retreated 0.2 percent.